Save Marinwood-Lucas Valley - our community, our future: Portland Housing: Density at Any Cost? Portland’s regional planning agency, Metro, recently released its 2014 Urban Growth Report, which projects that the region will gain 300,000 to 500,000 new residents between 2010 and 2035. The report suggests that it may not be necessary to expand the region’s urban-growth boundary to house those new residents because people are willing to live in smaller homes on smaller lots. Not only will Metro’s vision make single-family housing more expensive, says Mildner, it will increase the cost of rental housing. Contrary to claims that more people want to live in smaller quarters, achieving Metro’s goals will require “multi-billion dollar unfunded mandates on local government to subsidize housing and transportation projects.” Nor will Metro’s plans be good for the environment, since they will just lead a lot of people to move “from our region to places in the southeast and southwest United States where carbon emissions will be higher” because those places require more air conditioning and use more fossil fuels to generate electricity. Oregon law requires cities and (for Portland) Metro to periodically evaluate whether there is a 20-year supply of available land for housing. But in 1993, Metro persuaded the state legislature to allow it to provide that supply through densification rather than by expanding the growth boundary. Even with overproduction of multifamily housing, increasing land and construction costs will force a 37 percent increase in real-dollar apartment rentals. This does not mean people want to pay such high rents; it only reflects the high cost of such housing and the lack of any alternatives, especially since single-family home prices will rise by 52 percent. Even at higher rents, Mildner estimates that huge subsidies will be needed to persuade developers to build the high-density housing Metro wants. 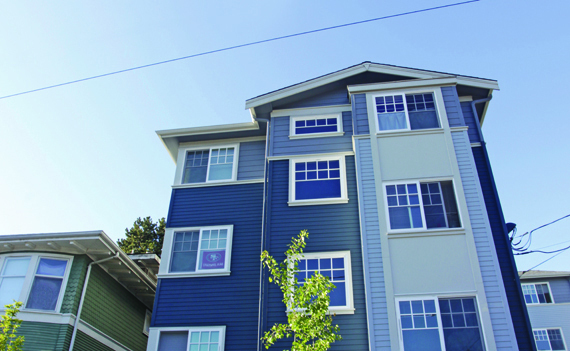 He estimates that Portland and its suburbs have provided nearly $2.9 billion in subsidies to nearly 89,000 housing units in transit-oriented developments to date, an average of more than $33,000 per unit. At that rate, given an average of 2 people per unit, housing another 300,000 to 500,000 people would cost taxpayers $5 billion to $8 billion more. No thanks to urban planners, Portland is the microbrewery capital of the United States, which has made it attractive to a lot of young people. But anything who thinks that Portland planning provides a model for their city or region should read Mildner’s report.